Fusing Machine – UNIX Stitch Machines Pvt. 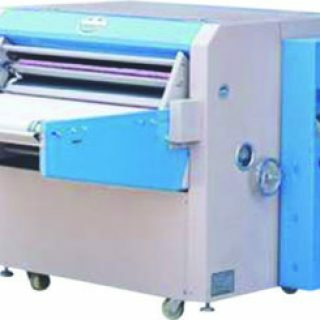 Ltd.
It’s a special purpose machine for the rhinestone transfer to fabric. It suitable for all kind of fabric. Adopted mechanical connection unit form belt controlling, pressure regulating, conveyer, automatic stripping off etc. It is an ideal choice for all kind of clothing factory with advantages of reliability, uniform heating, strong fusing, simple unloading, easy belt replacing and maintenance.